The Maniacal Brain Extractor is a Limited Edition Shadow type weapon. It is the upgraded version of the Brain Extractor. The Brain Extractor, maniacal edition, has some pretty nifty upgraded features! First, introducing the power of two! Double the lights, double the straps, double the brain fluid storage cylinder = double the fun! Next, a high tech Newtonian laser makes sure that your lobotomies are level! Nothings worse than sophisticated surgery being botched by slopey slants. Works in tandem with the sonic corkscrew to level the device based on the lasers readout. Worried about your patients' comfort levels? The serum syringe administers high grade truth serum so you know your patients are definitely telling the truth when they say it doesn't hurt one bit! Last but not least, the automatic scrubber arm keeps your workstation neat and tidy before and after every procedure! Comes with the new iGor OS 7 upgrade for your droid overseer! The Maniacal Brain Extractor is a Limited Edition weapon and can no longer be acquired by Hunters. It was not sold by any Trapsmith. It can only be crafted given the proper ingredients. The Maniacal Brain Extractor collects Brain Bits from the various zombie mice. The effect is greater when paired with the Skello-ton Base. Brain Extractor - Source of Brain Extractor Parts for crafting the Maniacal Brain Extractor. Skello-ton Base - Increases the special effects of the Brain Extractor and Maniacal Brain Extractor weapons. Brain Charm - Require Brain Bits to craft and increase the encounter rate of the various zombie mice. Super Brain Charm - Require Brain Bits to craft and increase the encounter rate of the various zombie mice. 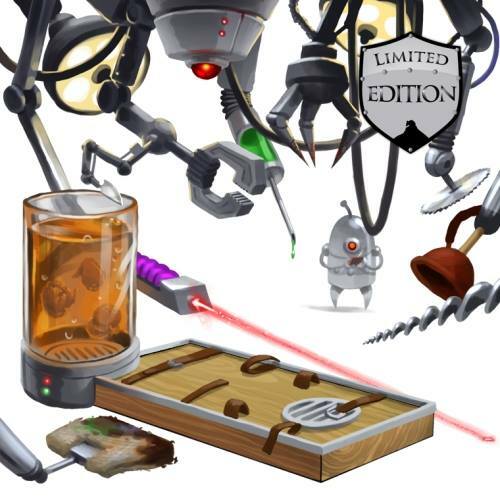 17 October 2013: The Maniacal Brain Extractor was released at the start of Halloween 2013 event.